For modern genealogists, the WWII wave of immigration presents unique challenges. The worldwide flood of immigration and emigration often requires searching for family history in foreign countries. World War II officially started in 1939 with the German invasion of Poland. However, the political unrest of Germany during the rise of Adolph Hitler and the Nazi Party began earlier in the 1930s. Many Europeans were alarmed by the changes in the political system and began emigrating to other continents. After the Polish invasion, many became refugees from the war. When the Japanese bombed Pearl Harbor, Hawaii on December 7, 1941, the United States entered World War II. The war fronts were then in Asia and the Pacific, North Africa, and Europe. The War ended in 1945. The 1946 Potsdam Agreement set up the rebuilding of Europe and the relocating of many Germans from Eastern Europe. This was the beginning of the largest migration in the 20th century, with over 20 million people resettling in other countries. Over 16.5 million Germans were expelled from Eastern Europe, and millions of Poles were also relocated. The post-WWII wave of immigration became a major event for many countries. Europe, which had suffered so many battles and destruction, saw many residents leave for North America, Australia, and South America. Many Jewish Europeans began relocating to the British Mandate of Palestine, which would eventually become Israel. The flood of new arrivals was quite large. Canada, for example, saw the number of Italian Canadians triple between the years 1951 and 1961. Australia actively encouraged immigration, and it worked. Between 1945 and 1951 over 182,000 people were sponsored by the International Refugee Organization for relocation to Australia. Between 1949 and 1959, over 1.2 million Europeans moved to Australia. The United States saw an increase in immigration during post-War years, but its numbers were greatly affected by its immigration laws. The Immigration and Nationality Act of 1952, also known as the McCarran-Walter Act, continued the United States immigration policies that restricted the number of immigrants based on the country of origin. The McCarran-Walter Act was not repealed until 1965. The law especially restricted the number of Asians who could legally immigrate to the United States. Approximately 250,000 people immigrated to the United States between 1946 and 1960. Immigration presents a special challenge to genealogists. Researching ancestors in a foreign county can be difficult. There may be a language barrier. Laws and the collection of records are different. Genealogists may find that records were destroyed during the war. Privacy laws may also restrict access to records from the past 50 years. Despite the difficulties, the procedures and sources are similar for the post-War period as for other time frames. Passenger lists are still a vital source. Naturalization documents provide important facts about an ancestor's life. When researching overseas, birth, death, and marriage records may still be available. Passport applications may also have information useful to a family history researcher. The migration of people after World War II is one of the largest in history. 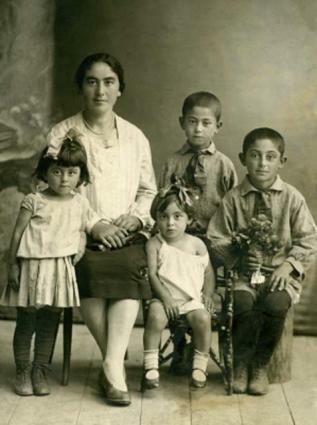 Genealogists should incorporate the story of these immigrant ancestors into their family history documents.